Joel C. Rosenburg, accomplished as an author who has heretofore specialized in fictional political-prophecy thrillers, has turned out another winner, though this time he admits that with much trepidation he dared step onto the hallowed ground of Auschwitz with a work of historical fiction. As we mentioned in a couple of our pieces tracing the roots of antisemitism in the church, Auschwitz, and the horrors perpetrated upon the Jews by a couple hundred other Nazi concentration camps, was a direct result of Christian antisemitism. 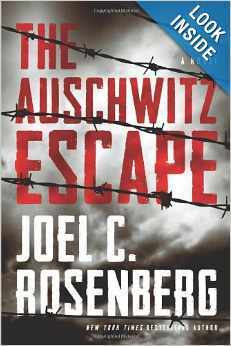 Rosenburg, in his thriller style, writes a very well researched fictional story based on actual accounts of an escape from Auschwitz. He uses the storyline to begin a few years before WWII and trace the life of two characters who would eventually be bound together in Auschwitz and be tapped by the Resistance to get the truth out to the world. While this is a massive topic in trying to explore the varying groups of sentiments as well as the multifaceted reactions of Jews and Christians to Hitler’s ‘final solution,’ Joel manages to touch on and in brief format, explore most angles. Unfortunately, to really do them justice, he needed at least another 468 pages. While I enjoyed the story very much and was introduced to a little more information about Jewish participation in the underground and resistance, I had a pretty good handle on the varying sides of Jewish reaction and Christian reaction to Hitler’s atrocities. Rosenburg has definitely done his homework in understanding how the underground groups worked, communicated and accomplished tasks. He also shows well the frustration at how slow the machinations of government and justice sometimes work. Jacob Weisz, the main character, and somewhat reluctant hero, in a sequence of events gone terribly wrong winds up as prisoner 202502 in Auschwitz. There he is teamed up with another reluctant hero, Christian pastor John-Luc Leclerc to make an escape with critical evidence of the horrors of Auschwitz. The plan that Rosenburg models his story after is actually based in history as one that worked for a couple of actual escapees. Through the story we find ourselves aghast at the horrors, only mildly described, of the death factory that murdered several million Jews, gypsies, political prisoners and others deemed undesirable by Hitler and his henchmen. Rosenburg weaves his story with many historical facts and references. He also leaves us with a sense of aching as Jacob experiences the loss of one person after another in the Nazi meat grinder. Parents, sister, uncle, friends, acquaintances, etc. Each dying or being killed, yet Jacob, by the Hand of Providence, survives… barely. 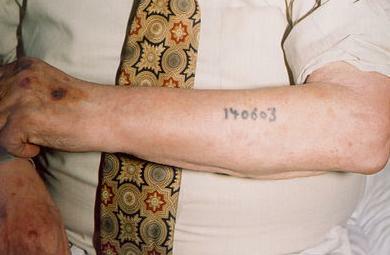 I suspect almost all who survived Auschwitz, did so with almost no family or relatives left. What a sense of loss and emptiness to battle for the following decades. In one respect, Rosenburg treats us in the same manner leaving some threads dangling in the same way families torn apart have no answers for some questions. Rosenburg has a chance to really drive that point home, but chooses not to…. Knowing Rosenburg is a Messianic Jew, I found it a bit perplexing that he made a light apologetic for Martin Luther’s infamous antisemitic screed. It seemed a bit shallow and I wondered if it was made more to prevent offending his audience when his clear agenda is to bring the sides together and expose the ugly fruit of antisemitism. Further, as a Messianic Jew, there may be a hint as to what his thoughts are on Jew and Gentile as one body, working together, when he puts Luc and Jacob together… I pondered whether he had an underlying message. All-in-all, a fast read, even if some of the subject matter was challenging. Good primer for concentration camp life and specifically Jewish costs paid in WWII as well as the complacency of the church, though Luc represents well the other side. 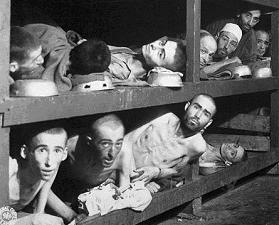 I recommend The Auschwitz Escape as a good book to introduce others, particularly Christians to the role of antisemitism in the church and the part it played in WWII. The message is well couch in his fictional narrative. This entry was posted in Book Recommendations and tagged antisemitism, holocaust, Israel, Joel C. Rosenburg, Martin Luther, The Auschwitz Escape. Bookmark the permalink. 1 Response to The Auschwitz Escape… A review. I just finished this book yesterday. I am always hesitant to read historical fiction that is based on actual events, because I don’t want to skew my thinking with made up events. However, I thought this book was very well researched and integrated factual information with an engaging story line that kept me fascinated from the first page. I am still thinking about the book and the events of World War II today…I think one thing that struck me most was the theme that Yahweh is at work even in the midst of unspeakable evil. Excellent review…excellent book…I highly recommend reading it.